Some cards can be made to work in OS X with custom ROM, however OS X extensions does not support the card's hardwired device ID, so it would result in a Kernel Panic at boot. If the card is close to another officially supported card in OS X or use the same GPU, there's an easy hack which will allow it to operate in OS X.
NVIDIA Quadro 4 (nv25) series, the card is very close to GeForce 4 Ti series, using same GPU and PCB layout. Some even have dual DVI outputs. Custom GeForce 4 Ti ROM will make the card work as a Mac Card, but a Kernel Panic will happen every time you try to boot with original NVIDIA extensions. o have XCODE tools installed (available on original OS X install CD or DVD), you only need Property List Editor for this hack. Before you physically install your Mac flashed card, let's proceed with the Extensions hack. 2. Back up the extensions you're going to modifiy (here NVDAResman.kext and NVDANV20Hal.kext). Keep one copy of each in a safe place, and one copy of each in your desktop. Last 2 copies are going to be edited. 3. Right-Click on the first extension you copied on your desktop and use "show package content" option. The extension will open as a classic folder. 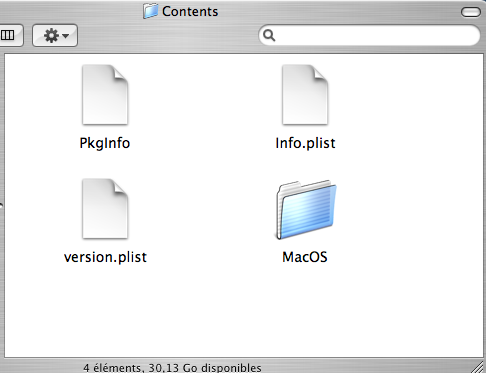 Open the "Contents" folder and Open the file Info.plist with Property List Editor. 5. Save the edited Info.plist and proceed the same way with the second extension. 6. Copy the edited extensions packages back to your Extensions folder ( /System/Library/Extensions ), OS X will ask you the administrator password. 7. 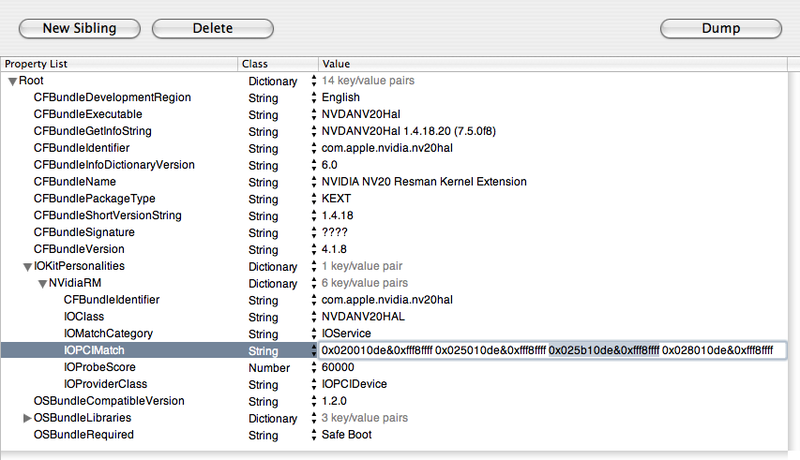 Use Disk Utility or Terminal command line to repair OS X permissions and shut your Mac down. 8. Install you card, boot and enjoy ! 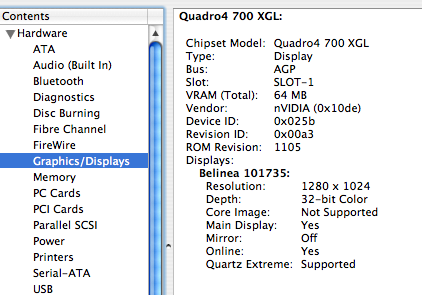 Other NVIDIA cards might need to edit other files the same way, depending on the OS X extensions they rely on.